​Stats have revealed that Swansea midfielder Gylfi Sigurdsson has covered the most distance of any player in the Premier League so far this season. The Icelandic international has racked up a total of 318.2km on his way to becoming the most travelled player in the top flight. A player of such technical ability and creativity may not have been expected to boast such a stat, particularly with the likes of N'Golo Kante in the league. 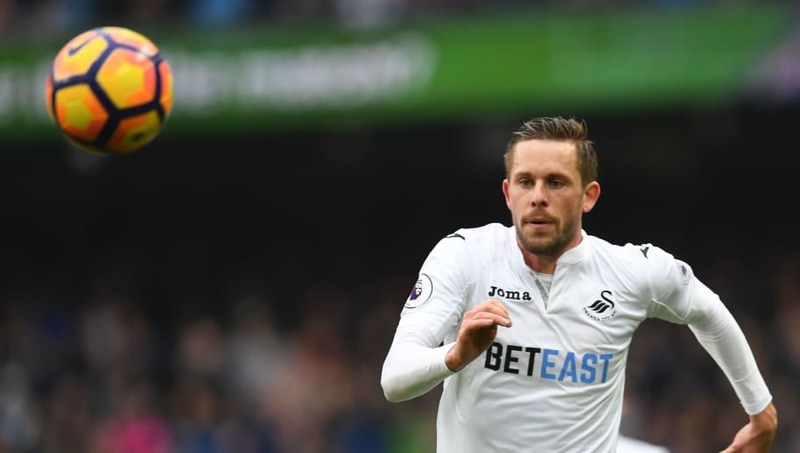 The indefatigable Frenchman would have been most people's pick for the longest distance runner, but Sigurdsson has surpassed his total, proving that he's not afraid to put a commendable shift in to add to his attacking talent. Swansea's playmaker not only tops the running charts, but has also provided the most assists in the Premier League so far this season, with 11 to his name, ahead of both Christian Eriksen and Kevin De Bruyne. Sigurdsson's season appears to have gone under the radar somewhat with Swansea languishing near the bottom three for much of the campaign to date. But the stats back up the 27-year-old's hugely impressive form. He also has eight goals to his name, meaning that he has been directly involved in over half of Swansea's 26 Premier League goals.